Bad things can happen to a final drive when the bolts haven’t been torqued correctly. 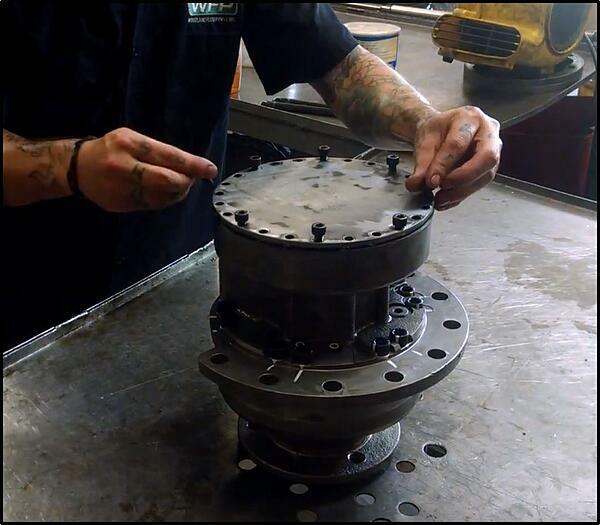 In this Shop Talk Blog post, we’ll talk about what goes on when a bolt is torqued, why torque requirements exist, and what can happen when a bolt isn’t torqued correctly. Bolts for some critical parts need to be tightened to a specific torque in order to make sure that they do not vibrate loose during service. When a bolt is torqued, the angled thread on the bolt takes the torque and converts it to tension in the bolt shank. Tension is a technical word for the stretch or elongation of the bolt. That tension is the source of the clamping force needed to hold things together. When a instructions call for a bolt to torqued a certain amount, that serves as a guideline for how much you torque you need to apply to get the bolts to provide the right amount of clamping force. Lube can reduce the amount of torque needed by about 75%, but damaged or rusty threads will need additional torque. Torque requirements are applied to some bolts because engineers have determined the optimum level of torque (and tension) needed for that applications. Their calculations may take several different factors into account, including the angle of the thread, the length of the bolt shaft, the diameter of the bolt, and the forces that are going to be trying to force the bolted parts away from each other. Bolts that are under torqued will vibrate loose and, if they are being used to clamp parts together, will allow those parts to separate. This, in turn, can cause some serious problems depending on that those bolts are holding together. In a final drive motor, this could start with leaking fluid, then lead to parts like bearings, axles, and gears becoming out of alignment. If not caught early, the results can be catastrophic to a final drive motor. 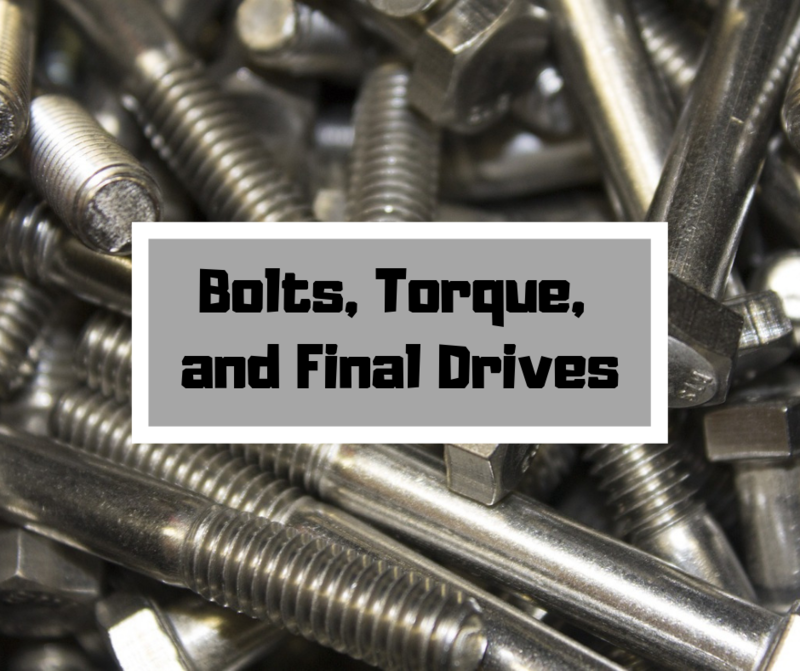 Even if the bolts don’t loosen up to the point of endangering the final drive itself, they can begin to experience fatigue loadings which will lead to the bolts breaking. Over torqued bolts can result in the bolt and/or the part being permanently deformed. This can include the bolt head digging into the surface of one of the parts being clamped, the threads being deformed or stripped (in a fine threaded bolt), or the bolt being broken (in a coarse threaded bolt). Deformed threads can be very difficult to remove later, and a stripped bolt may not be able to generate any clamping force at all. Correctly tightening bolts is very important for machinery and equipment to function properly, including final drive motors. That's why our technicians are careful about torquing and they use Loctite to further prevent bolts from working loose. Bolts that are too lose can lead to leaks and damage, while bolts that are too tight can cause unexpected failure or make it hard to get those bolts loosened later on. Don’t ignore bolt torque recommendations!